This year, the north-eastern region of India has been witness to a series of weather anomalies. According to the Indian Meteorological Department (IMD), the eastern and north-eastern regions have together received 31 per cent less rainfall than normal in this south-west monsoon (SWM) season as on July 25, 2018. If the scenario does not improve anytime soon, this could be the worst monsoon the region has seen in the past 13 years. For a region that is highly dependent upon the SWM for its rainfall, this is ominous. This is not only the doing of the SWM. Before the monsoons, Assam, Manipur and Mizoram saw floods and Assam also dealt with heat wave conditions in the latter half of July. Let’s look at few individual states. Meghalaya, which means ‘the abode of clouds’, is reeling under 45 per cent deficit rainfall this season (as on July 29). The East Khasi Hills district in the state, home to some of the wettest places on planet Earth, has received 20 per cent less rain than normal. The Ri Bhoi district has fared the worst in the state with a deficit of 56 per cent. Arunachal Pradesh, which was once touted as India’s hydroelectric powerhouse, has also been left wanting more. The state has got 37 per cent less rainfall than normal with 9 out of 16 districts staring at more than 40 per cent deficit. The four districts of East Kameng, Tawang, Tirap and Upper Siang have rainfall deficits of 64 per cent, 66 per cent, 68 per cent and 75 per cent. Nabem Rebia, Arunachal Pradesh’s environment minister, had recently lamented that the state might be staring at a water crisis as climate change has dried up its 200 rivers and streams. This is mostly due to the diminishing glaciers there, added Rebia. The lack of rainfall this season might further exacerbate this crisis. In Assam, it is not just the SWM. Before the poor SWM, which left the state with 28 percent less than normal rainfall, Assam had experienced extreme rainfall events which led to floods and that took 34 lives. As many as 21 districts in the state were affected by floods disrupting the lives of more than 10 lakh people and damaging 12,884 ha of crops. Somehow, many of the districts were flooded have also received large deficit rainfall. For instance, floods had ravished Dhemaji district that ended up with 86 per cent rainfall deficit. Other districts which have suffered a similar fate are Sonitpur (24 per cent), Nalbari (37 per cent), Nagaon (32), Barpeta (22), Kokrajhar (22) and Hailakandi (31). This doesn’t end here. Assam was also hit by a heat wave in late July that had killed two people in Kokrajhar and Morigaon districts. The state has seen higher than normal temperatures during monsoon this year. If climate change is behind all of this, the north-eastern region will be more vulnerable when it comes to its natural resources. In a research paper published in Current Science journal in 2011, scientists had predicted that climate change will affect agriculture, water availability and forests in the north-east of India. 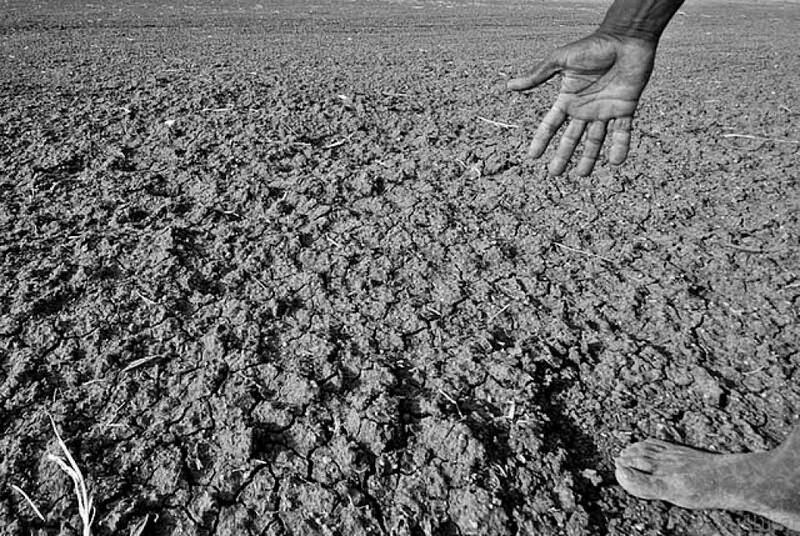 According to scientists, the number of drought weeks during monsoon months in Arunachal Pradesh, parts of Assam, Meghalaya, Mizoram, Tripura and Manipur, will increase by 25 per cent in the future. Looking at rainfall deficit this season, this prediction doesn’t look unlikely. But what explains such weird weather conditions? Possibly, the Bay of Bengal branch of the SWM, which brings in all the rainfall to the region, has been weakening over time. On July 21, a depression, which is an area of low atmospheric pressure that produces rainfall over the region it passes over, was formed over north-west Bay of Bengal. It brought record breaking rains to Odisha and heavy rainfall to Gangetic West Bengal, Jharkhand, Chhattisgarh and other adjoining states. Along with that, it also cut off moisture to the entire north-eastern region, reducing the rainfall and increasing temperatures. The heat wave conditions in Assam were also a result of this development.